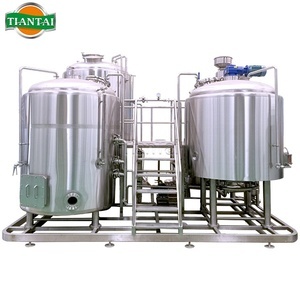 Brief Introduction Name Wine Making Equipment Material Stainless steel or red copper Capacity 50L-3000L Function Beer factory, hotel. 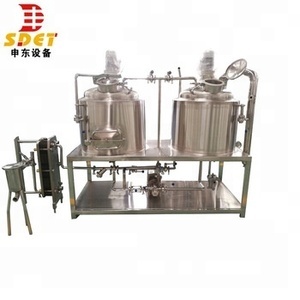 6-Besides fermenting equipment, we can also provide beer decoration equipment, beer selling equipment, beer filling equipment etc. 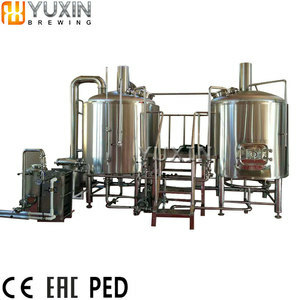 8-Brewery layout plan, brewing formula, technical suggestion regarding our machine can be provided. 2 YRS Shandong Deniang Biological Engineering Co., Ltd. 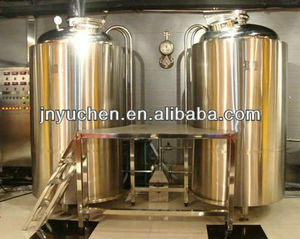 The beer fermenting equipment make different kinds of beer also effect the fermentation tanks number. 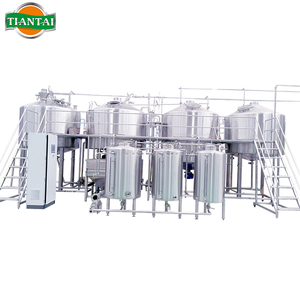 Then begin to brew beer Control System Main equipment Button control box or PLC control box Usage Control all the pump and motor. 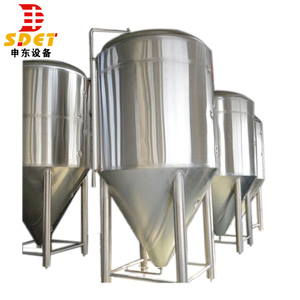 They come to here it to inspect the beer brewing system quality, it&rsquo;s processing details, our accessories and spare parts. We are doing our best to help customers realize their brewery dream within their budget. -Wholeheartedly service We are your partner throughout the entire brewery development process. We will be as involved as you are comfortable with; it's an honor to be a part of your team. 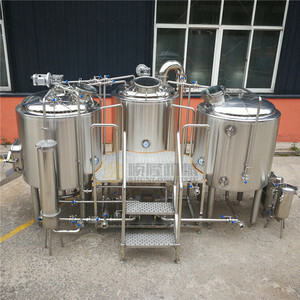 2 YRS Beijing Tianheng Kairui Hoisting Machinery Co., Ltd.
1 YRS Henan Baite Stainless Steel Products Co., Ltd.
All of connection required turn up workmanship and all of welding seam required polishing, which is more smooth tank surface. All of the inner surface connection using turnup workmanship and polishing round. All of the welding connection polishing treatment, more smooth (4) The special design Four adjustable legs. 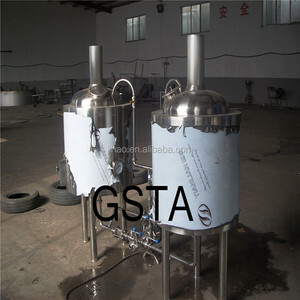 6 YRS Wenzhou Yixite Fluid Equipment Co., Ltd.
Alibaba.com offers 91,829 3 phase equipment products. About 2% of these are other metal & metallurgy machinery, 2% are paper product making machinery, and 1% are testing equipment. A wide variety of 3 phase equipment options are available to you, such as ce, cb. You can also choose from food, machinery & hardware, and beverage. As well as from compression testing machine, sintering furnace, and water well. And whether 3 phase equipment is free samples, or paid samples. There are 91,829 3 phase equipment suppliers, mainly located in Asia. The top supplying country is China (Mainland), which supply 100% of 3 phase equipment respectively.  phase equipment products are most popular in Domestic Market, Southeast Asia, and Mid East. You can ensure product safety by selecting from certified suppliers, including 33,892 with ISO9001, 15,786 with Other, and 9,683 with ISO14001 certification.